Our Tuscany Farm Holidays are the perfect place to get in touch with the undiscovered, beautiful nature of the Tuscan countryside. If you want a relaxing vacation, choose one of the Tuscany Farm Holidays we carefully selected for you in San Miniato, Montaione, Siena, Arezzo, Cortona. Start to live your dream. It could really happen ... What? That you fall so in love with the Tuscan countryside that you decide to chuck everything and buy and renovate an old farmhouse or a derelict country house creating a holiday farm in Tuscany. Touring in the Tuscan countryside, it is not unusual to meet up someone who has done it. Best-sellers like "Under the Tuscan Sun" by Frances Mayes or the blockbuster "Stealing Beauty" by Bernardo Bertolucci featuring a young and beautiful Liv Tyler are evidence of the fact that Tuscan holiday farms exert a strong appeal on foreign tourists (and not only on them). That is why, at least once in one`s life people should spend one or more weeks in a holiday farm in Tuscany, surrounded by a land that has been skilfully worked for centuries and by breathtaking views of vineyards, olive groves and cultivated fields stretching as far as the eye can see. Without forgetting the famous white roads winding in the Tuscan countryside. These beaten-earth roads that connect various accommodating facilities and small country villages are perfect for relaxing walks, mountain bike excursions and horseback rides. Just a piece of advice: do not waste time in making your decision. 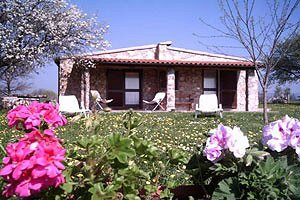 Once you have chosen your preferred holiday farm in Tuscany, look for possible special offers, check its availability in the period of your choice and make your reservation. Experience teaches that the holiday farms in Tuscany are quickly sold out. 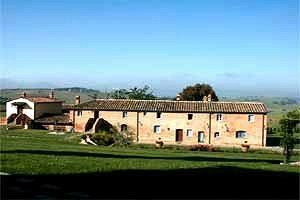 Cottages in residential farm for holidays in the Tuscan Maremma, in Pitigliano, in the province of Grosseto. 13/16 sleeping accommodations, two swimming pools, wide fully fenced garden, wood-burning oven, barbecue. Saturnia spa resorts in the neighbourhood. Animals welcome. Apartments for rent in farmhouse for holidays in Cortona (Arezzo). Accommodation for 2/8 people, garden, hydro massage, swimming pool.